In the current time, there is a need to thoroughly examine the process of systematic research methodology and to provide genuine findings to provide the reference for further investigations of traditional herbal medicines, which are beneficial for various disorders. To standardize Dhatryadi Ghrita on various parameters, in order to assure its safety and efficacy on various grounds. The Ghrita was analyzed for its organoleptic, physico-chemical features and screened for its phyto-constituents as well as its chromatographic analysis. The physicochemical standards would serve as a preliminary test for the standardization of the formulation, which helps to lay standards for further use as reference for the quality control/quality assurance laboratory of a Pharmaceutical house. 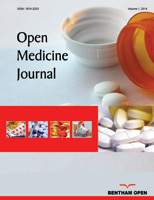 The improvement of analytical methodologies can serve as a specific basis for research in herbal drug technology, thereby, facilitating the producers and researchers to set quality standards as well as parameters, so as to fulfill the requirements of regulatory bodies for the establishment of therapeutic efficacy, safety and purity of herbal drugs. The obtained values can be adopted to lay down new pharmacopoeial standards to be followed in its preparation with batch to batch consistency. Keywords: Dhatryadi, Ghrita, Standardization, Parameters, Herbal ghee, Ayurvedic medicine. © 2018 Rashmi Saxena Pal.